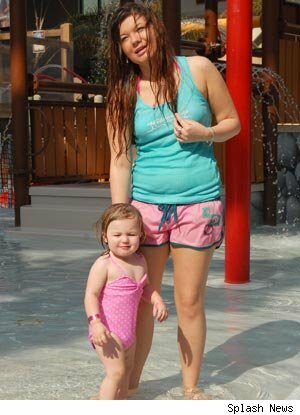 Amber Portwood made her first star appearance in the first showing of 16 and Pregnant, when it aired in 2009. The show chronicled the stories of pregnant teenage girls in high school who were dealing with the hardships of pregnancy. Amber gave birth to a little girl named Leah, with her then boyfriend, Gary Shirley. As Leah got older and the complications of having a child at a young age got in the way of Amber and Gary being parents, the state of Indiana stepped in with Child Protective Services to investigate whether Amber was fit to have her daughter or not. This occurred after a lot of taped physical abuse she inflicted on Gary when they’d argue, as well as verbal. It’s now however, a bittersweet time for Amber as Child Protective Services has closed its long-gestating investigation prohibiting Amber from seeing her now 3-year-old daughter and Shirley. According to court records, Child Protective Services recommended back in May that Leah move in with Shirley full-time after Portwood’s home and car were vandalized but allowed her visitation rights. The Porter/Shirley custody debate is still on the table, but at least for now it seems that Leah is safe.